Instructor User Guide CalendarHow do I edit a calendar item? 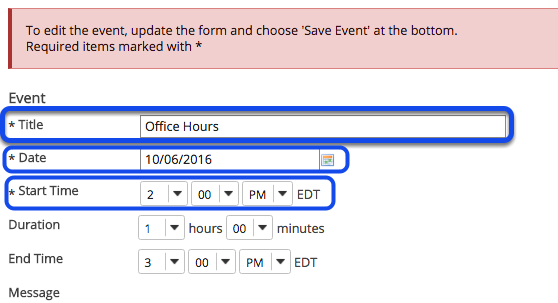 Click on the calendar entry that you want to edit. Make your changes to the event. Prev: How do I add items to the Calendar? Next: How do I delete a calendar item?